Check the Counseling Center link for scholarships, college visit dates and other important information. 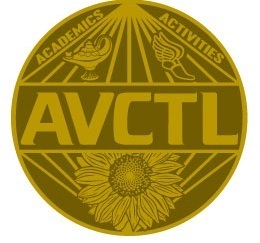 Please login to www.AVCTL.org and select "Mulvane" for the current calendar of events. We are offering the ASVAB at MHS on Monday, April 22, 2019. We will have students plan to arrive at 8:00 a.m. with testing beginning at approximately 8:30 a.m. This is an optional test date. If you are even thinking about the military, you should sign up to take the exam. It is a required exam for the military. We scheduled this test on a day you would normally be out of school intentionally so you don't have to worry about making up work from classes. The test takes about 3 hours, and a few weeks after the exam, a military recruiter will come back to MHS to share your results and help you understand what your score means. Auditions for the talent show. • Missing 10 percent, or about 18 days, of the school year can drastically affect a student’s academic success. • Students can be chronically absent even if they only miss a day or two every few weeks. AP Biology, AP Literature and Composition, AP Spanish, AP Calculus A, AP Statistics, AP American History, Honors Algebra II and Honors Geometry. Composition 1, Composition 2, College Algebra, Public Speaking, and General Psychology; other courses by arrangement second semester. (All subject to the classes "making"). MHS has also developed a partnership with Butler County Community College for the early health academy program. If you are a victim or witness to bullying, please report it to the administration. Don't stand by and let it continue.